You all have so many great projects to work on this year! Makes me want to pull out my sewing machine and sew. Wait... my sewing machine is out - along with about a hundred yards of fabric ironed and washed on our living room floor. Yes, I did say "living room". Yes, the front room of our house. Well, what can I say, fabric is important and anyone visiting should know that, right? And she made a little iron-cover to match! And the iron is color coordinated! LOOOVE IT! One of them must have a brother with great yaste - he chose a wife who sews like his sister! I would love to try Aurifil! 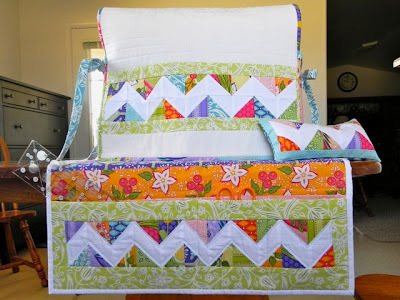 I am signed up for Sew Cal Gals FMQ Challenge and would love to practice with this thread..I want to explore the possibilities with all the different weights and types of thread. Thanks so much for the giveaway. 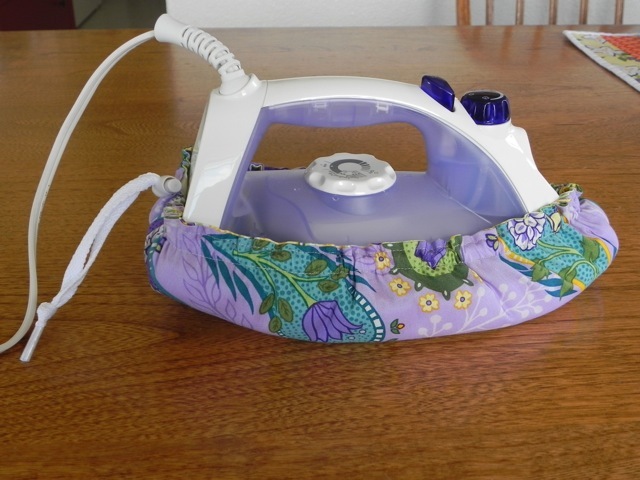 So many people are trying the Sew Cal Gal FMQ Challenge I had to check it out. It sounds like fun! Send me your addresses, ladies, and I'll send out the thread. I have used Aurifil thread all this week and I have to say that I think it is the most lint-free cotton thread I've every sewn with. It is amazing. If you didn't win this time please be sure to stop back next month, when I have another Aurifil giveaway. P.S. I'm excited about speaking to the Forsyth Piecers and Quilters guild in Winston-Salem, NC tomorrow night! SQUEAL!!!!! I am so excited SQUEAL! I do hope you have the time to join in the FMQ! Thanks for telling us about the Challenge. My new year resolution is to learn how to free motion quilt so this is a timely announcement! I'll be joining in. Thank you! Congratulations to the winners! Have fun with your prizes!